Apple Developing iPad Mini To Counter Kindle Fire? 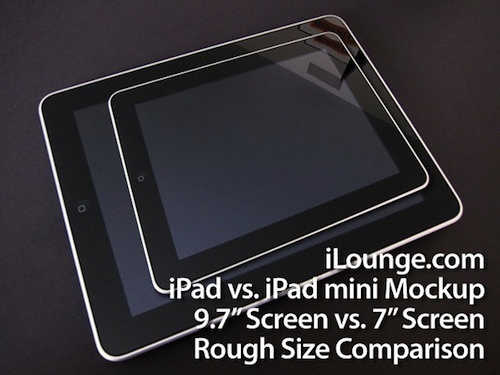 According to a report by Digitimes, Apple are likely to release a down-sized iPad with a 7-inch screen, the “iPad Mini”, by the end of 2012. The move comes in response to growing competition from smaller tablets such as Amazon’s highly successful, and aggressively priced Kindle Fire as well as large-screen smartphones from companies such as HTC and Samsung. The report indicates that the iPad Mini would be a separate device to the next-generation iPad 3, which is expected to launch sometime in 1st-quarter 2012.